EARTH wins ‘World’s Best Atlas’ as voted by an independent jury of 7 Professors and Doctors of Cartography from the International Cartographic Association. 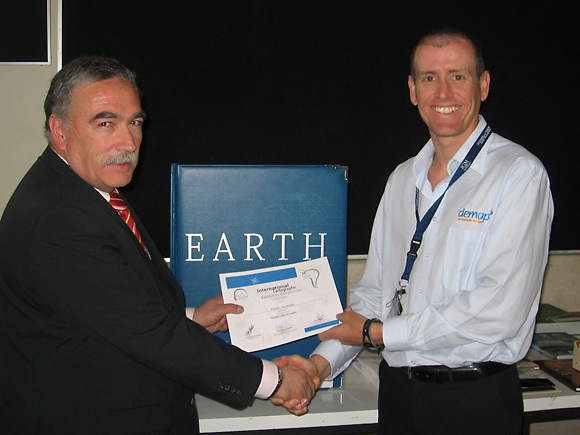 The Earth atlas beat over 70 international atlases for the award. Damien accepting the award in Chile at the International Cartographic Conference on behalf of Millennium House and the 60 other cartographers who worked on the project.